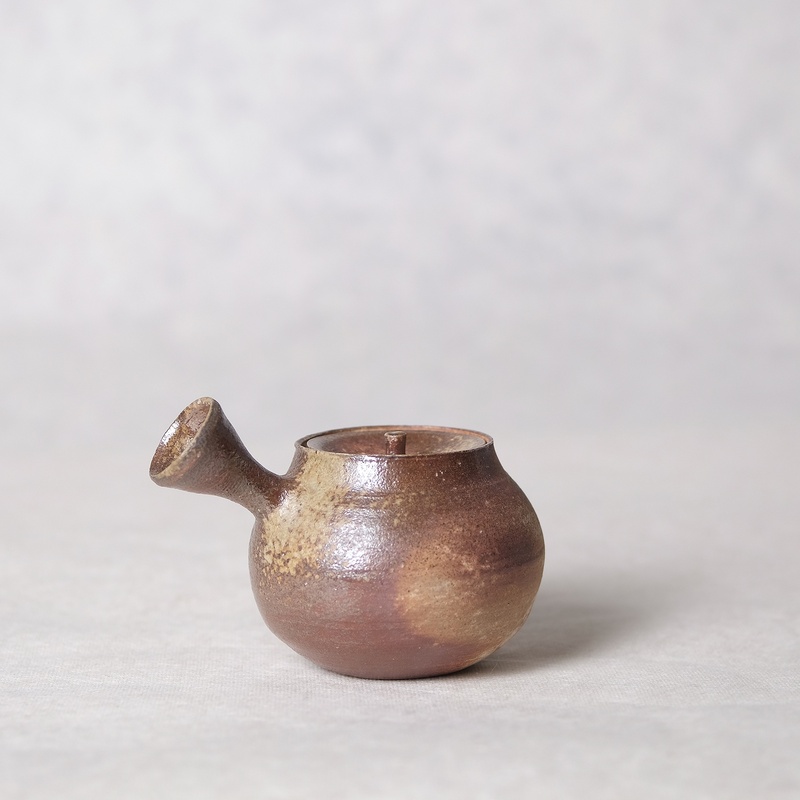 Potter Yoshimitsu Ishihara uses locally dug clay from the area around his home in Fukuoka prefecture to produce his ceramic vessels. With a background in sculpting Ishihara is always concerned with shape and form. 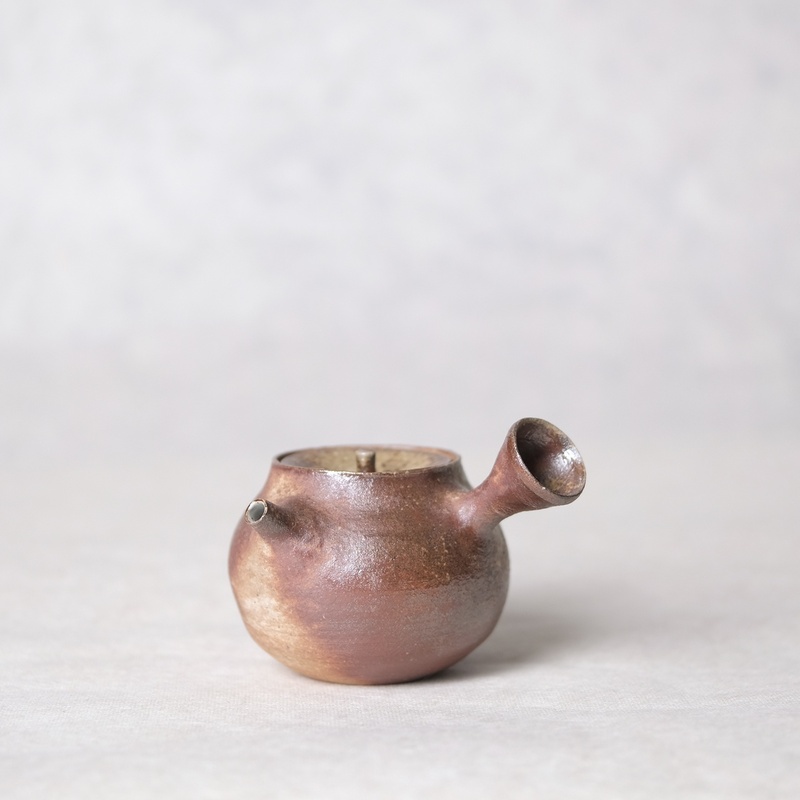 His vessels are often hand-built and wood fired resulting in organic shapes and varied tones over the surface of the piece. 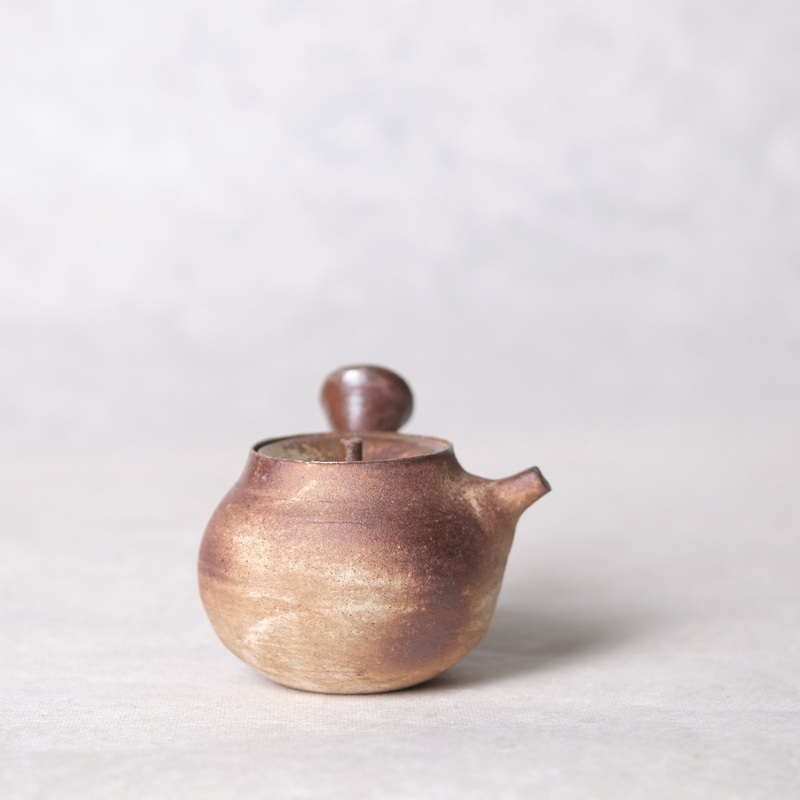 This series of kyusu designed for small servings of quality teas have a volume of approximately 250 to 300ml. 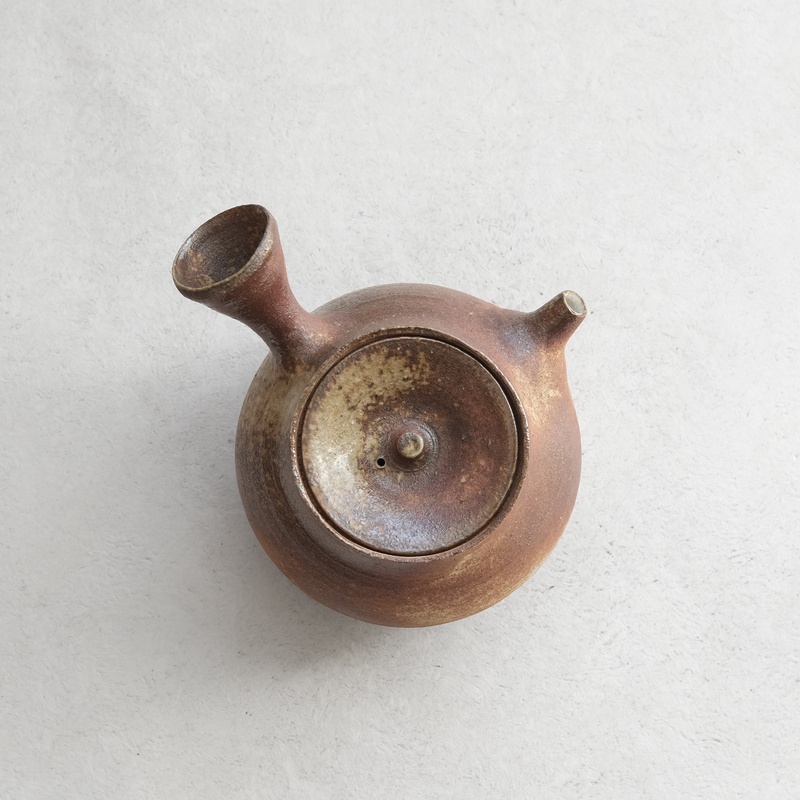 Each pot has a built in chakoshi (filter) for straining tea leaves.